Ohio Wesleyan University graduate Bishop Lawrence Reddick III of the Christian Methodist Episcopal Church will be the keynote speaker for the Delaware County Martin Luther King Jr. Celebration on Jan. 14-15. 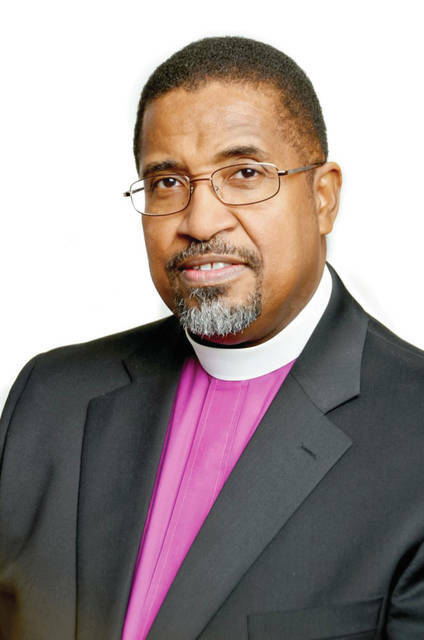 Reddick, a 1974 OWU graduate, is the 51st bishop elected in the CME Church and presiding bishop of the Eighth Episcopal District in Dallas, Texas. The Delaware County Martin Luther King Jr. Celebration Committee and Ohio Wesleyan University the invite the community to explore “Why We Can’t Wait: I Still Have a Dream” during the 2018 observance of King’s legacy. The two-day observance will begin at 3 p.m. on Sunday, Jan. 14 with the 33rd annual MLK worship service at Zion African Methodist Episcopal Church, 140 S. Washington St., Delaware. The featured speaker will be Bishop Lawrence Reddick III of the Christian Methodist Episcopal (CME) Church. A 1974 Ohio Wesleyan graduate, Reddick is the 51st bishop elected in the CME Church and presiding bishop of the Eighth Episcopal District in Dallas, Texas. This Sunday worship service is free and open to all who wish to attend. Delaware’s observance of the legacy of the Rev. Dr. Martin Luther King Jr. will continue at 7:45 a.m. on Monday, Jan. 15 with the 25th annual MLK Breakfast Celebration in the Benes Room of Ohio Wesleyan’s Hamilton-Williams Campus Center, 40 Rowland Ave., Delaware. Reddick again will be the featured speaker. During his tenure as bishop, Reddick has expanded the CME Church’s work in West Africa and helped to found the interfaith Alabama Faith Council. One of Reddick’s lifelong goals is to help eradicate world hunger by lobbying congress as a member of Bread for the World’s board of directors. The MLK Breakfast buffet will open at 7:45 a.m., followed by the program at 8:30 a.m. Individual tickets are $20, with eight-person table sponsorships available for $160. Proceeds support MLK Celebration Committee initiatives, including the MLK Scholarship, awarded annually to one or more outstanding high school graduates of Delaware County schools. This year’s recipient is Natalie Darst, a 2017 graduate of Hayes High School. Darst currently is attending Bowling Green State University, where she studies inclusive early childhood education. Breakfast tickets may be purchased online at www.eventbrite.com/e/martin-luther-king-jr-breakfast-celebration-tickets-39783235729 or by mail via the Ohio Wesleyan Office of Community Service Learning, Attn: Susanna Long, 40 Rowland Ave., HWCC 308, Delaware, Ohio 43015. Reservations and payment are requested before Jan. 5. (A limited number of tickets may be available at the door.) Checks should be made payable to the MLK Celebration Committee. For information, contact Long at sslong@owu.edu or 740-368-3084.